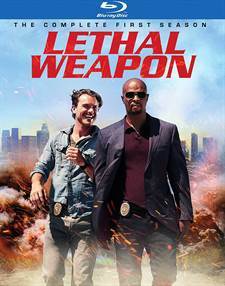 Download Lethal Weapon in Digital HD from the iTunes store. Lethal Weapon images are © Warner Bros.. All Rights Reserved. In 1987, the movie Lethal Weapon brought us the comedy/action team of Mel Gibson (Braveheart) and Danny Glover (Shooter) and it was so genius it spawned three sequels. Almost 20 years after the last film hit theaters, the powers that be (seemingly out of fresh ideas) decided to make it into a television series. Season One aired this past year and while it will never live up to the films it had a solid enough premise and development to make it a modest success. Considering it had such large shoes to fill, I'd say that's a big accomplishment. The best thing the production team did was not try to recreate the successful movies. Besides the basic details, the television show had to add so much more detail and managed to do it well. We needed to be invested in the characters as much as the storylines and the writers gave us a more intricate backstory for the main characters than was developed for the films. While Martin Riggs (Clayne Crawford; Rectify) has a subconscious death wish after the tragic accident that killed his pregnant wife, Roger Murtaugh (Damon Wayans; My Wife and Kids) is looking for a low-stress life after suffering a heart attack while in the delivery room when his youngest child was born. Both men have a "new lease on life" but they choose to manifest it in different ways. Part of what makes the show work is the easy chemistry between Crawford and Wayans. Although not the same as Gibson and Glover, They do manage to have a rhythm the flows nicely which helps to enhance the weekly episodic show. Their banter and mild bickering remind one of an old married couple but it doesn't get overly annoying. The two leads are surrounded by a solid supporting cats including Keesha Sharp (Are we There yet?) as Trish Murtaugh and Kevin Rahm (Mad Men) as their boss, Brooks Avery. Both compliment the duo well and help to enhance the series. Jordana Brewster (Fast and Furious Franchise) also adds an interesting element as she plays Psychiatrist Maureen Cahill. Unlike the films, Cahill becomes a confidant to Riggs instead of a constant target for pranks and such. She brings out an emotional depth from Riggs that makes him more interesting to the viewer. For a television series, the production value is excellent with various special effects that rival many feature films in theaters today. This is rather surprising since television generally has a smaller budget than films, so it's a testament to the crew that they manage to do so much with limited resources. Granted, not everything is comparable to the movies but that is to be expected. Even though the Blu-ray is presented in 1080p high definition video with a 1.78:1 aspect ratio, the picture quality is somewhat sacrificed for the sake of compactness. Since the 18 episodes plus extras are loaded onto three discs, there isn't much room for the best quality. Though most won't miss or notice the reduction in video quality, the most discerning eye will. Having said that, there is still a clean picture with varied colors. The DTS-HD Master audio 5.1 is sharp and clear with the dialogue relegated to the center channel and the background and effects sitting in the side and rear channels. 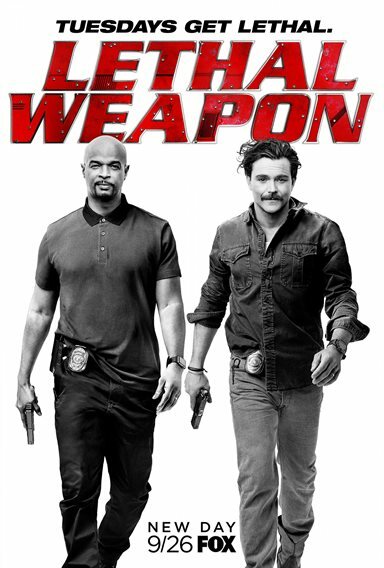 The extras are spread across the three discs and include a gag reel, deleted scenes, an extended pilot and Reloading Lethal Weapon, which is the only extra of any real substance. Fans of the original movies will want to compare the show with the films but doing so would be detrimental to any chance of enjoying the series. Giving it a fair shot on its own, one will find it to be a decent piece of work with a lot of thought and time put into its writing and production.